I found out about State of the Browser through the excellent London Web Standards meetup. 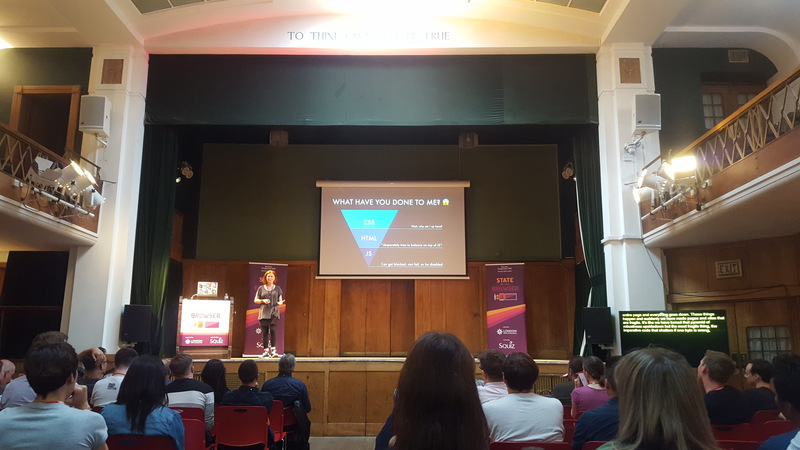 I’ve been to a few conferences in my time as a web developer, but the ethos of #sotb2018 – affordable ticket prices, subsidised tickets for students, post conference beers – makes it one of, if not my actual favourite. Conway Hall is a fantastic location in London with a strong history. Seeing influencers and pioneers of the web industry speak underneath the quote from Shakespeare’s Hamlet – ‘To thine own self be true’ – makes me feel positive about the future of the web platform. For me, the web is the greatest thing we have accomplished to date. 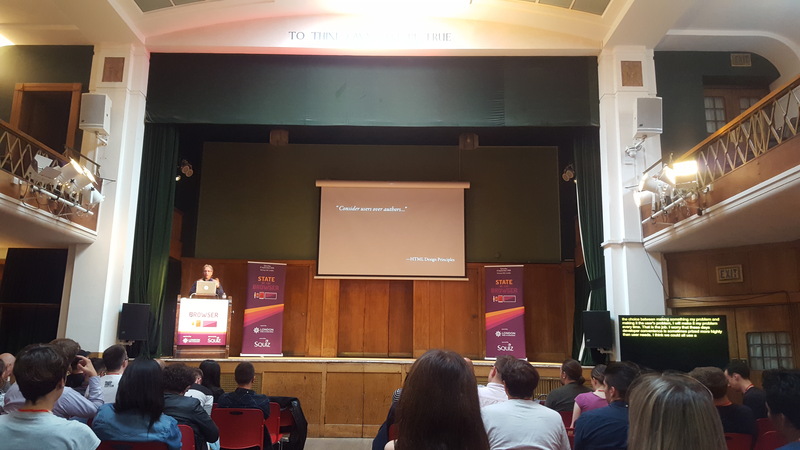 While there were aspects of every talk from the event that I liked, the two which had the biggest impact on me personally were Jeremy Keith’s, The Web is Agreement and Charlie Owen’s, Dear Developer. The organisers are in the process of transcribing the work of the excellent stenographers with the videos, so keep an eye on their vimeo channel to see the talks in future. Jeremy Keith is a respected figure in the web industry. His company, Clearleft has been around since 2005 and I’ve heard him speak on Andy Clarke’s podcast, Unfinished Biz. He also wrote one of my all time favourite blog posts during the Google employee resignation kerfuffle last year, so it was great to see him speak in person. Jeremy’s talk weaved together a tale of human progress, culminating (so far) in the development of the world wide web. I’ve since discovered a lot of the same content is available for free in his book, Resilient Web Design (also available in audiobook, free in your podcatcher of choice). In my opinion, the web should not put profit before people. 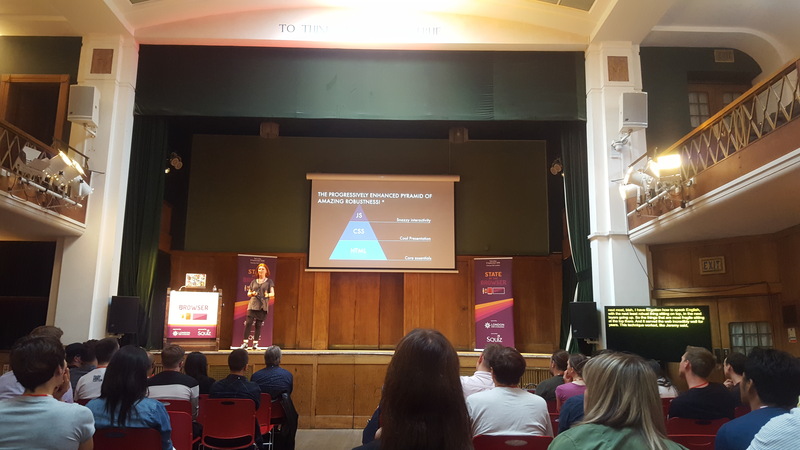 While I understand that sometimes conferences have to charge a lot to attract speakers and hire venues, I do wonder whether some of them have the people vs profit scale in equilibrium. 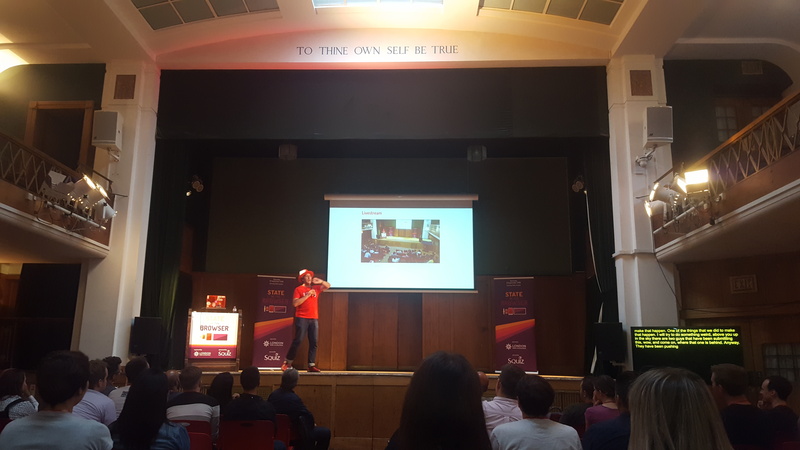 State of the Browser is certainly a shining example of how to run a conference and I am looking forward to next year’s event already. If you’re a business in Surrey or elsewhere, that wants to benefit from the latest web design knowledge and practices, please get in touch with us for a chat.